Full sun. In winter, plants may need to be protected or taken indoors in cold climates. In spring and summer feed with a balanced organic fertiliser. Fertilize more if you see yellowing leaves. Dill, Yarrow, Thyme, Marigold, Borage, Cosmos and Calendula. 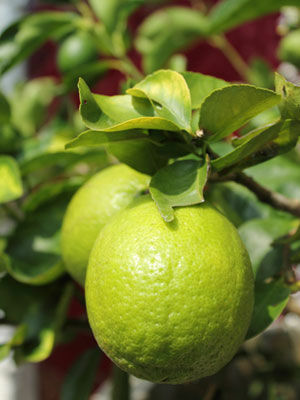 Limes and other citrus are heavy feeders that resent close company. Set out new plants in spring. Good drainage is essential. Prune in spring or summer to shape plants, and watch for thorns.